Combat Swords - Cutting edge technology meets ancient knowledge in Tiger Claw newest and safest light weight competition swords! The Tiger Claw Combat Swords provides a full range of competition weapons to match your entire armory! 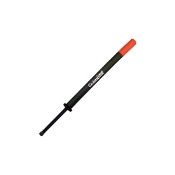 These weapons are made of a lightweight PVC core, for soft flexibility, and are covered with sturdy black vinyl.